Before we went to Ueno Park. 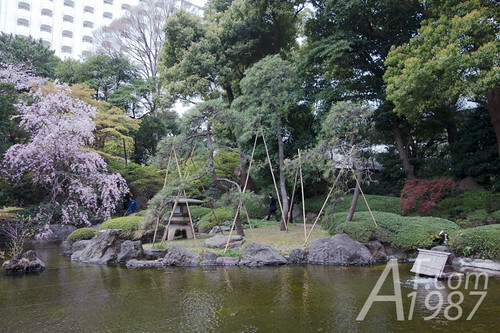 We walked around the Japanese style garden in our hotel. Although we stayed here for several days. 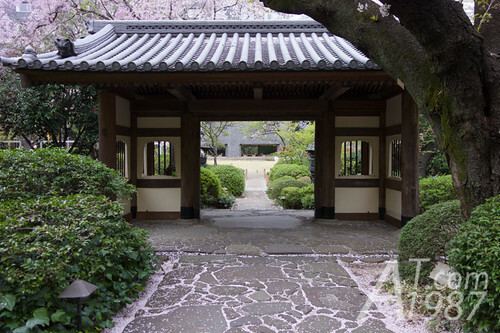 We didn’t have a chance to enjoy the beauty of its garden. 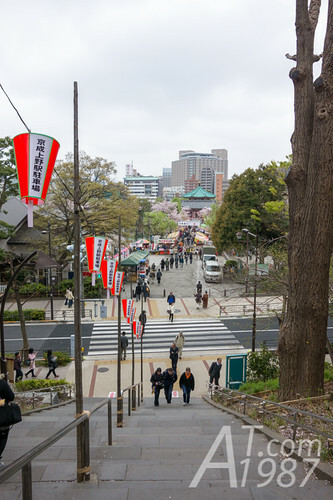 We took Yamanote line train to Ueno station then looked for somewhere to eat. 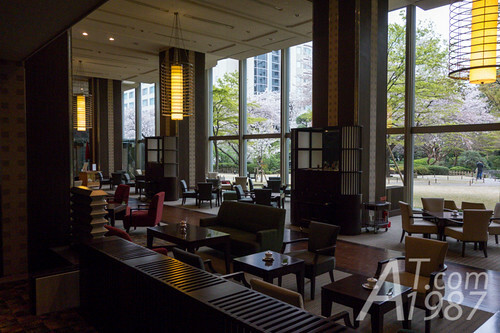 We found the restaurant called Midori Canteen looked interesting. So we gave it a try. 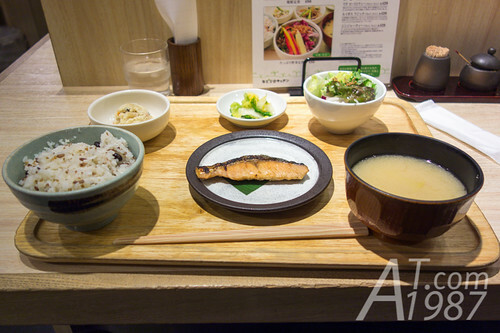 This restaurant features menu from organic food but they also sell the normal Japanese style breakfast too. We ordered the grilled salmon set. I really love the rice and mashed potato that mix with the cereal grains. We went to the station’s park exit. (Different exit from the day before.) 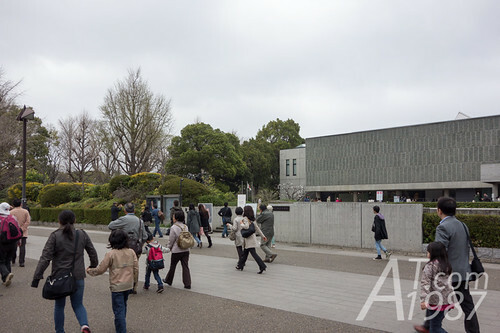 Inside the park you will find many places such as National Museum of Western Art in this photo. 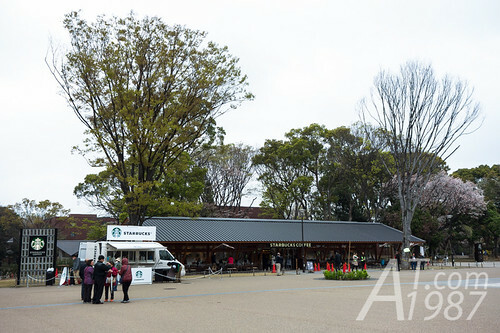 You will also find the Starbucks around the middle of the park. 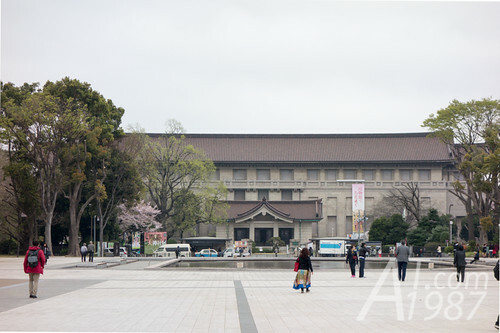 If you walk further to the left, you will see Tokyo National Museum. 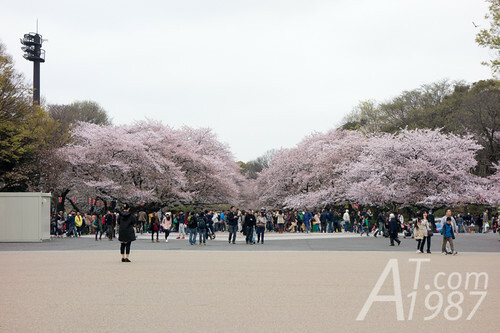 Since we wanted to walk around and see cherry blossom. We went to the opposite side and began our walk here. Because of it’s Saturday. A lot of people came to the park. Both tourists and local people. 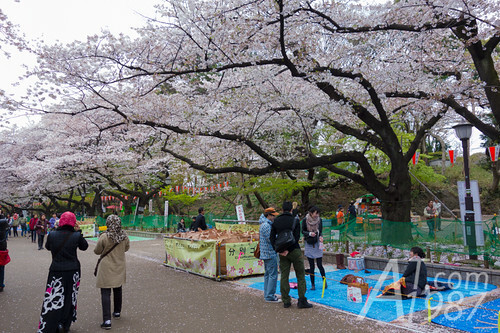 Many local people came to the park early in the morning to find the place for hanami or flower seeing. 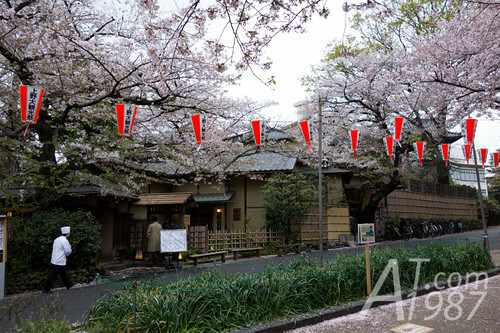 They will have the meal and chat while seeing the beautiful of cherry blossom. The weather on that days wasn’t good. There’s a little rain. 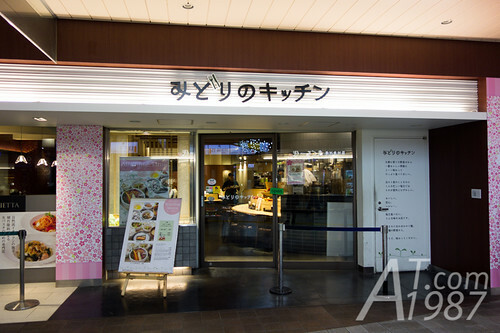 There are some restaurants inside the park too. 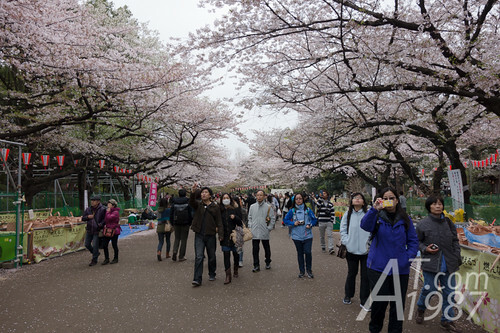 Other than seeing cherry blossom. 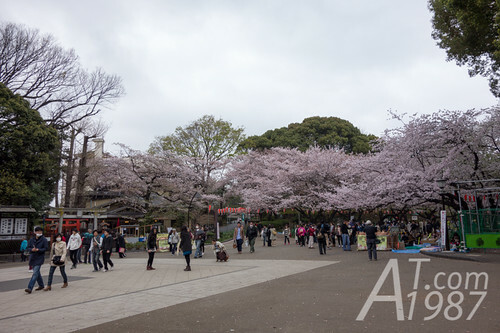 We planed to visit Bentendou which is inside the park too. We went to the downhill than across the small road to go to it. Let’s across the road to the temple.